It's officially safe to say that fall is most certainly here. Leaves are changing, the temperature is dropping and pumpkin everything is everywhere bringing out the basic in all of us. I'd be lying if I said I wasn't a pumpkin fan. Although, I definitely don't agree with some of the pumpkin crap that they come up with (almost as agitating as all of this unicorn nonsense) BUT I do love me a warm and comforting pumpkin latte on a chilly morning or even a mouthwatering pumpkin pie treat for after dinner. So, being the pumpkin fan that I am, I thought what better than to compile a list of some of the most delicious AND healthy pumpkin recipes that could be found on the web. So whether you are looking to change up your morning smoothie recipe and give it more of a fall feel, or you are looking for a recipe that will be the talk of the next celebration your throwing, look no further! 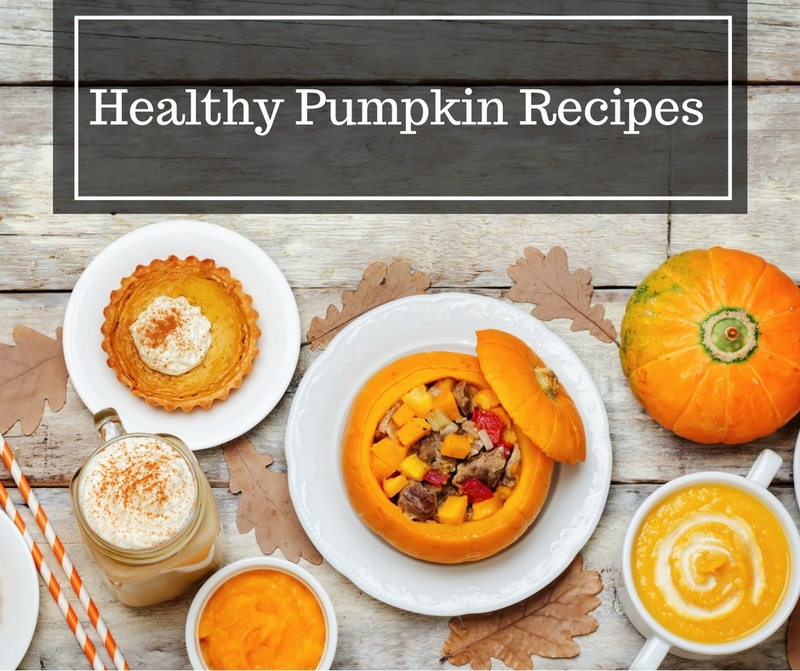 I've got everything from pumpkin protein smoothies to pumpkin pancakes all right here and I know you are going to love it just as much as I did! Check out all of the delicious recipes lined up for you, minus the guilt. Are you a pumpkin fan? Which recipe are you going to try first?